Over the next few weeks we want to explore the power that creativity can have to change lives for the better, showcasing the fantastic creative work that is being done with people who have come into contact with the criminal justice system. 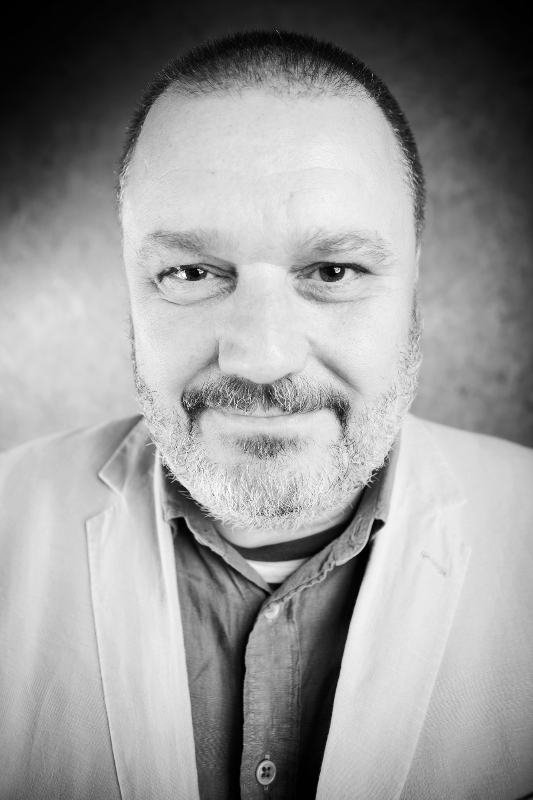 Dean Stalham is an artist, playwright and founder of Art Saves Lives, a community interest company that gives artists marginalised by society a voice and platform. His latest play, 'Barred', which is set in a prison cell and focuses on education and art as tools for rehabilitation, is touring this year. We spoke to him about his own experiences of art as a tool for change, the role that art has to play in the lives of people who have experienced the criminal justice system, and about 'Barred'. Tell me about what art did for you whilst you were in prison. Six months into a 3 and a half year sentence I read that “prison is above all punitive, that it operates to break the human spirit, to negate intelligence, to create an amorphous-like state, that the great challenge is how to resist, not how to adjust” - Nelson Mandela said that. My first ever painting - of Mickey Mouse, in a Warhol style, called 'I'm not Mickey Mouse' - went over the wall and then the wire and on into the 'Gherkin' building, where it was exhibited before being purchased. After lock up, I closed my eyes and imagined it hanging in someone's living room. I realised then that this is how I rise to the challenge and resist becoming part of the amorphous-like state. Art entered my life and immediately made it a better place. I was brought up in a place labelled the underbelly of society, the fifth stomach of a cow. Needless to say it was a place where art wasn't trusted, that it didn't pay the bills. As soon as art had entered my life I knew that art wasn't supposed to do any of those things, that art was something for everyone, that it was there to enhance lives. I believed then, as I do now, that art can saves lives, knowing this for a fact because it saved mine. When I went into prison in 2004, I was a career criminal, had been for 30 years, with no intention of rehabilitating. On release I would have gone straight back into crime without the blink of an eye. Art changed my perception of the world. It opened it up for me, made me realise it was a far bigger place than I'd ever thought before. Art gives you a never-ending and forever changing landscape. Art is opportunity. Chances that you would have never received had art not been in your life. Painting led to writing, writing led to wanting to open the doors for others similar to me, those from a place with little or no opportunities or chances, places where choices and options are few or far between. And we all know where that can lead! What are your experiences of working in the creative industry? How much are your experiences affected by the fact that you have been in prison? Being a solo artist is the hardest job ever. It is literally you against the world. It can get so lonely and disheartening constantly trying to change lives and perceptions, but at the same time it's the most liberating thing ever! The creative industry more supports than actually helps, because it says, without words, “you chose this path, now deal with it. You want to change the world? Get on with it.” It's even harder to be a solo artist when you are forced to wear labels, as ALL former prisoner artists are. Usually called ex-offenders, we are looked upon as that first, as artists second. Large portions of society ask themselves the questions, often way before assessing the art before them, '”What was his/her crime? They did bad, why should I care? Why should I forgive?” We are forced to carry the stigma attached to being in prison. If we try to shed it, we're accused of trying to hide it. Why would you try to hide something if you weren't ashamed? Aren't artists supposed to be the most unashamed of beings? It's a cycle of complexities that needs to be addressed by an art loving society. We must begin by realising that art comes first. Tell me about Art Saves Lives and what you hoped to achieve through this organisation. In 2009 the Eden Project and a number of homelessness agencies worked together on a project which enabled prisoners and homeless people to construct a major show garden called The Key at the Chelsea Flower Show. I was asked to be involved in this project and wrote a 9-page poem that was written around columns in the show garden. The last line of this poem was 'If nothing else, art saves lives'. This was something I believed in before I wrote the poem; I believe that I am alive because of art. To prove that art does save lives, I set up Art Saves Lives in 2007, a community interest company that sources venues and spaces for artists who feel marginalised by society [Dean is particular in his use of the phrase 'artists who feel marginalised by society' as opposed to 'marginalised artists', to emphasise the source of this marginalisation]. There are many organisations which talk about the good they can do for groups marginalised by society, such as prisoners, but who never actually include those people in the conversations. We need to empower these people and allow them to express the art and the stories that they have inside of them. It is important that we leave tags and labels at the door. Anyone from a working class background is weighed down by so many labels; they're “disadvantaged” or “disenfranchised”. We need to recognise that first and foremost, they're artists. We have put on some amazing events and exhibitions, all without funding, to prove that it can be done. People ask why I put on plays for free. I do it in order to find a new audience who haven't been before. A new audience won't pay until they trust in theatre and know that they need to have it in their lives. And it's vital to remember that opening up the doors is as important to art as it is to the communities who have been marginalised. Many former prisoners are kept out of the professional world; they are very often invited to the door but not invited in, that's where the help stops. People have told me “not to be greedy” once they've started paying me, because they believe they are helping me out and giving me a leg up. But money is a massive stumbling block to former prisoners who want to be artists or writers because of the financial demands they are facing (the need to pay the bills and look after their families). Furthermore they don't demand payment because they don't know how to, they don't know how much to charge. I want people who have been in prison to be able to enter the professional world and to be paid proper money, not just have their expenses covered. Tell me about 'Barred' and the tour you are starting in April. I first wrote 'Barred' two years ago. It's set in a prison and focuses on the mental health problems that many prisoners face and how they're dealt with institutionally. There's no support network to deal individually with people with mental health issues in prison. Generally mental health problems are brushed under the carpet, or else dealt with via medication. But every person is an individual and has their own unique mental health issues. Such issues cannot be lumped together and dealt with in the same way. 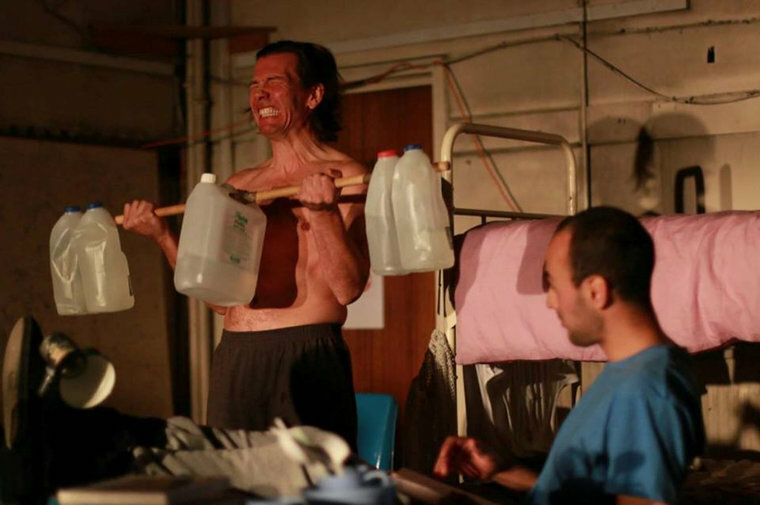 The play deals with these issues of mental health and the experience of mental health in prison. It's an organic piece that can change every year and this time round I've written it from the perspective of art and education as powerful tools of rehabilitation and change. It focuses on two men serving long sentences who are sharing a cell as a result of overcrowding. One of these men has had his perspective and life changed by art and education, whilst the other has not. The set and props used are all sourced from a real prison. In 2015 it had a major reading at The Royal Court theatre in London. It then played at Salford Community Arts Theatre to 110 people, a pilot run, and in the crowd was the Head of Education from Strangeways. She said that it was the most authentic prison drama she had ever seen and wanted me to put it on at Strangeways. 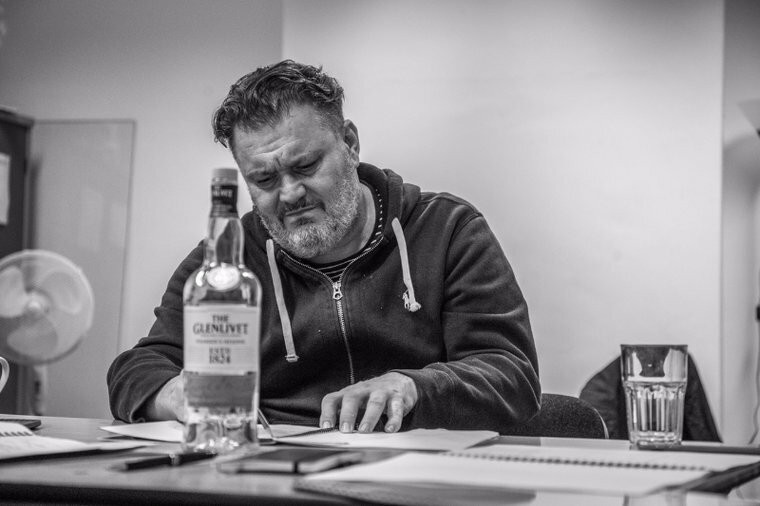 At Strangeways, after just 3 weeks of rehearsals and with only £1000 of funding, it was performed in front of 80 inmates, all of whom had chosen to come and see the play, and received a standing ovation – the men couldn't believe that the two actors hadn't been in prison. It then played at Leeds Beckett University, put on for just £500, in front of 130 Criminology undergraduates. Since then I have been inundated with requests from university Criminology departments up and down the country, including St. John's College at Cambridge, to perform the play. On our tour, starting this month, we will visit 3 prisons: HMP Full Sutton, HMP Kirkham and HMP Wandsworth (which is where I saw the play that first got me into writing). We will also be performing at Cambridge University and Sheffield University, as well as 5 nights at a commercial venue in Manchester (53two) and one day at Westbank in Notting Hill, London. Click here to find out more about 'Barred'.